They form part of a project funded by the Generalitat Valenciana to improve the educational quality of the local community, which is nearing completion. 'Improving the quality of education through the expansion of a network of Pedagogical Resource Centers and in-service teacher training in Nampula' is the full title of the project funded by the Generalitat Valenciana that Fundación Pueblo para Pueblo launched in Nacala, Mozambique in August 2009. The project is nearing completion and is achieving its intended results. The two pedagogical resource centers included in the project are already operational and have the teaching materials, educational programming, and cultural and sporting activities that are required to operate. In both centers, two sets of 25 women have also formed groups to develop and practice dance and traditional dance. Last December, the project concluded the theoretical and practical training of 25 primary school teachers. Final exams and the graduation ceremony for the new teachers concluded this training program. 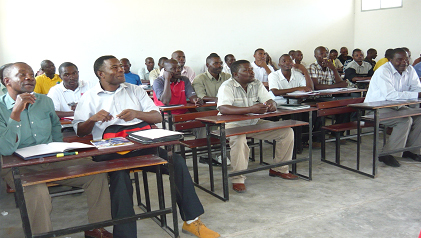 In addition, different training sessions and workshops regarding school management and involving 130 primary school principals were organized in Nacala Porto in 2010. 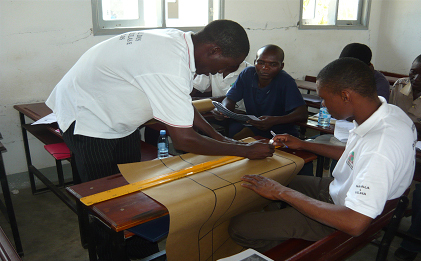 Still to be completed is the training of six teachers who will manage the pedagogical resource centers in the districts of Nacala Porto and Nacala-a-Velha in the province of Nampula. The training of the six teachers is scheduled to take place in mid-March. The project also envisages the organization of a business management training for 30 women, as well as various women's literacy courses in local communities. In May of last year the process of re-training 150 teachers also began. Last December, one of the staff members of the Projects Department visited the area to assess the project’s on-the-ground situation. During his visit, he witnessed a high level of participation and motivation on the part of the primary school teachers and pupils, the newly graduated teachers, and the communities, once the pedagogical centers were operational. This type of educational programs is based on the idea that local communities are a cornerstone for development cooperation in the South, an idea also promoted in programs centered on agricultural and rural development, community development, and the prevention of communicable diseases such as HIV/AIDS.